Is it best to pay off a mortgage, or invest? A couple of weeks ago, personal finance blogger Stealthy_Wealth wrote about how he managed to save himself R83 000 by asking his bank to reduce his mortgage. He had been paying his mortgage plus a bit extra for two years, and was hoping his good track record would improve his credit rating and hence his mortgage rate. His current rate was only 0.05% below prime (9.95%) and his bank offered him a 0.25% reduction (9.7%) if he forfeited some of his available balance in his access bond – in other words, if he reduced the amount available to withdraw. I decided to test out my bank and asked some readers for their experiences. The conclusion was that banks have different criteria for reducing the mortgage rate and some are more open to the idea than others. No, not interested: For some readers, the bank’s response was a flat “no” – they stated that they had already given the bond holder the best possible rate. Move your account to us: Our bank offered to reduce our rate by 0.25% if we moved our main bank account to them. This seems to be a common strategy by banks as they are prepared to give you more discounts if you do more of your banking with them, which makes sense. Borrow less: Like Stealthy_Wealth’s experience, some banks are prepared to lower the rate if the mortgage value decreased. City Press spoke to the banks to find out what criteria they would consider when it came to an application to reduce an existing mortgage rate. FNB: According to Stanley Mabulu, FNB home finance division channel management head, in terms of FNB’s home finance product rules, “an application for a rate review can be submitted and possibly considered 24 months after the date of registration of your bond”. Credit score: If your credit score has improved since taking out the loan, there is a chance you could qualify for a better rate. Variables of home loan account: If your income has increased significantly or if the value of your property has increased, those would be positive factors when negotiating a better rate. Reduction of outstanding balance: If you have been paying extra into your mortgage and the original outstanding balance has been reduced by 15% equal or greater to the registered bond amount, FNB will consider a reduction in your interest rate. You need to decide if you are prepared to forfeit access to those prepaid funds to have a lower rate. Standard Bank: Standard Bank’s approach is to only offer a better rate if you extend the loan. The bank’s costs of running a mortgage book are fixed, so a bigger loan would mean more profit, hence the ability to offer a better rate if you can afford the repayment. Van der Hoven adds that the bank will offer better rates to its own customers, so it pays to do your primary banking business with the same bank as your home loan. Absa: Absa will assess on a case-by-case basis, but is not that keen, even if your risk rating changes. 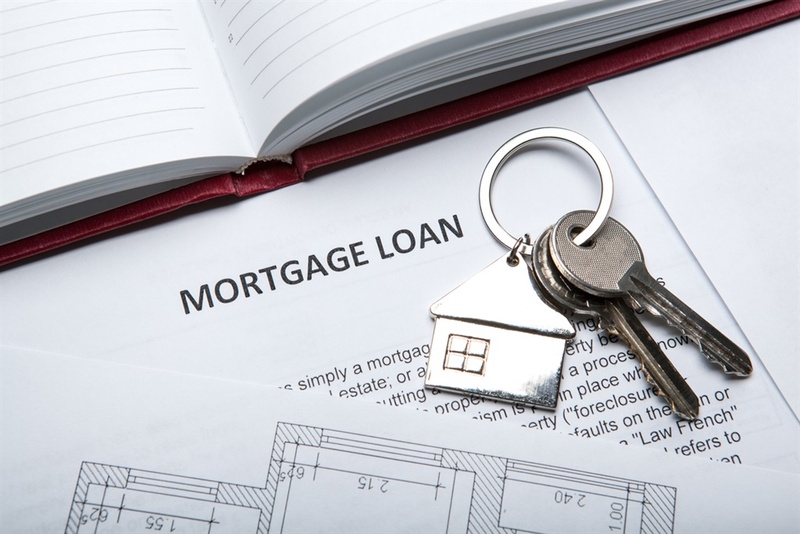 Geoffrey Lee, managing executive of home loans at Absa, says: “It is important to note that a home loan is a long-term transaction entered into over a number of years. Mortgage interest rates are based on the overall risk profile of the customer at the time of inception of the home loan. In other words, the borrowing risk that the bank carries is based on the risk profile of the customer at the time of approval of the home loan. Nedbank: Nedbank is definitely not keen to reassess a customer’s mortgage. If you manage to get a 0.25% reduction in your mortgage rate, the monthly saving may seem small. For example, on a R1 million mortgage, a 0.25% reduction will save you R165 a month. However, over a 20-year period, that would save you R39 600. The real power, however, is in using that R165 to pay more money into your mortgage rather than spend it. Over a 20-year period, by using that interest saving to pay extra into your mortgage, you would save R115 000 and pay off your home loan a year early. The effect would vary depending on how many years you have left to settle your mortgage, but Stealth_Wealth calculated that a 0.25% reduction on his R925 000 mortgage with 18 years left would save him directly R33 000, however, because he intends to pay the same amount into his mortgage as he did before the interest rate deduction, he will save R83 000 over 18 years. According to bond originator ooba, banks are competing with each other for mortgage business and ooba’s statistics show that the average interest rate is 15 basis points cheaper year on year, which is a result of banks vying for business. Ooba says the average rate achieved for its buyers is currently 0.16% above prime, and a home loan rate at prime would be considered to be a “good” rate in the current market. If you have a good credit record, have been paying off your mortgage or more for several years and your rate is at prime or above, it may be worth shopping around. However, you need to consider the costs of changing over – such as bond registration fees. If you take the example of a R1 million mortgage, re-registering your bond could cost about R27 000.